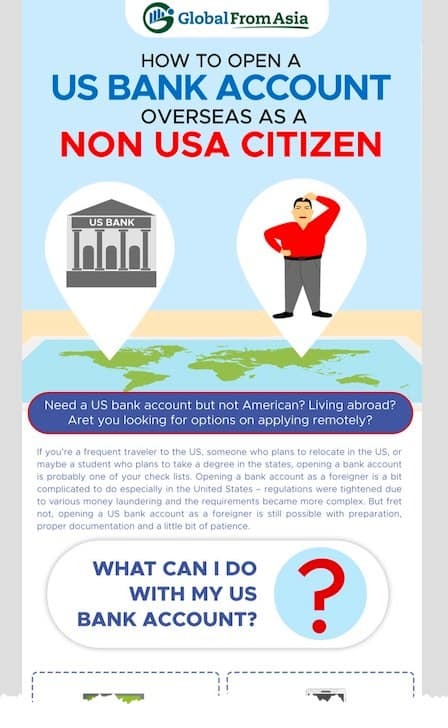 Need a US bank account but not American? Living abroad? Are you looking for options on applying remotely? If you’re a frequent traveler to the US, someone who plans to relocate in the US, or maybe a student who plans to take a degree in the states, opening a bank account is probably one of your check lists. Opening a bank account as a foreigner is a bit complicated to do especially in the United States – regulations were tightened due to various money laundering cases and the requirements became more complex. 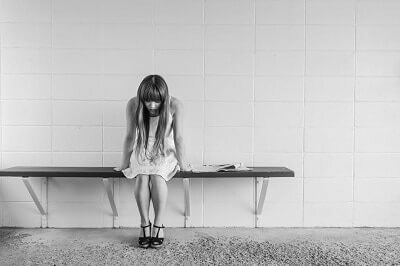 But fret not, opening a US bank account as a foreigner is still possible with preparation, proper documentation and a little bit of patience. If you’d like us to help connect you with a US bank rep, please click the button below. Connect with a US Bank Rep! What Can I Do With My US Bank Account? How Is Your American Bank Search Going? Before we get too far into it, let’s share where we are in the US banking process, fill out the quick poll below and see where others are in your situation too. What Stage Are You In For US Banking? 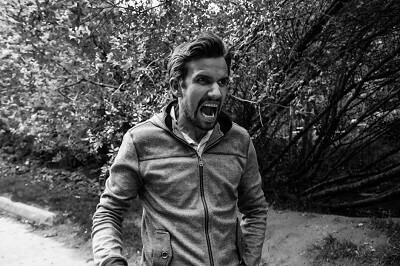 I can't take it anymore, US banks can kiss my behind! Click above to see the results of the poll after submitting your answer. Secondary identification card such as driver’s license, work visa or student ID. Ideally, it is best to reach out to the bank you intend to visit via phone call to clarify the documents needed before heading to the bank. Make an initial deposit. – note that for large amount deposits, a proof of funds may be required. Do I Need To Visit The US To Open An Account? To ease the account opening procedure, visiting the US to open an account would be an excellent thing to do. Nevertheless, going to the US just to open an account isn’t really a requirement for some banks. Nowadays, you can open an account online – only it takes long and you have a higher risk of getting disapproved. How To Open A US Bank Account From Overseas? 1. Contact the bank representative to get you assisted – some banks may allow you to submit your documents by scanning & emailing them to them. 2. 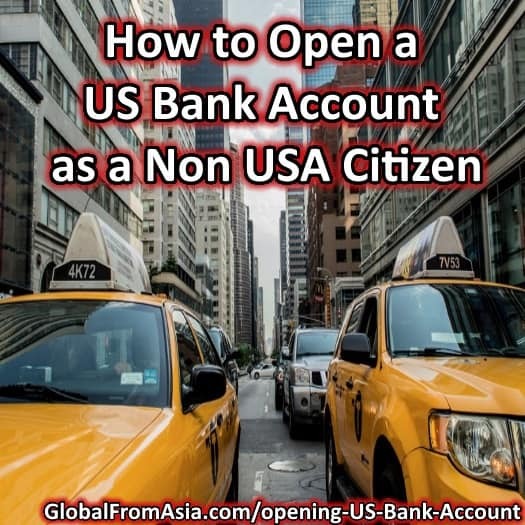 If you plan to open an account with a global bank that is also operating in your country (such as HSBC, CitiBank, Barclays, et al) you may actually coordinate with them to assist you in opening a bank account in the US prior your arrival. 3. Sign up online. Some banks like Chase & Bank of America offer online application services. Wells Fargo, Capital One , Bank of America, JP Morgan Chase & Suntrust will open an account for you without issues as long as you submit all the necessary documents. And more questions coming in! I read about your blog post about opening commercial account in USA without flying over there physically. Can you share with me whether is it still possible to open account without being physically there? Yes, it is still possible. There are online banking solutions and other ways to do that. We have 2 – 3 options we can introduce you to by completing the email questionnaire that you can request at the bottom of this blog post called “Connect with a US Bank Rep”. Do I Need A Physical US Address To Open An Account? Yes. As part of the US Patriot Act and Anti-money laundering program, Banks requires every account holder to have a physical address which shall be: (i) For an individual, a residential or business street address; (ii) For an individual who does not have a residential or business street address, an Army Post Office (APO) or Fleet Post Office (FPO) box number, or the residential or business street address of next of kin or of another contact individual. Use a registered agent address / mail forwarding service. If all else fails, using a registered agent address should be your last option. Some banks accept this, especially if the mail service provider is just small-time and is less likely to get flagged as a registered agent address. This is basically like a mail forwarding service + PO Box combined – only it gives you a real street address and not a PO Box number. Moreover, you can choose from any UPS Store Location. If you plan to open a bank account and declare your address as a registered agent address, then you are most likely to get disapproved or declined. As part of KYC (Know-your-customer), banks require a legit physical domicile. Typically, you can choose from these 4 options mentioned above and open an account without telling the bank anything about the address specified. Want to watch an overview of the US banking setup? You’re in luck, Lyka, our GFA co-host, brings you the video tutorial here. As previously mentioned, personally opening a bank account is basically the easiest way to get one, especially if it’s a corporate account. However, if going to the US is not an option for you, there are certain banks that may help you set up an account without having to fly to the states such as Wells Fargo & Bank of America*. 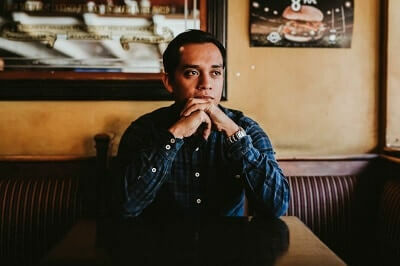 *Note on applying online at Wells Fargo and Bank of America – this was verified to work for others in the past but over the years since this blog article was made they have not allowed non US citizens to apply for their banking solutions online. We have been adding related posts and guides for those looking to expand their business into USA, please check out these related posts: getting a USA virtual address and How to Incorporate in USA, enjoy! Looking for USA Business Banking Help? While many of you are looking for a consumer (individual) US bank account, we recommend if you’re serious about long term US financial solutions to consider opening a USA company. Our team at Global From Asia specializes in assisting non-US citizens with company setup and banking and would love to work with you. If this seems interesting talk to one of our representatives or read more on our USA VIP packages today. When did you open a USA bank account? Did you have to go to the USA to do it? What were the fees to do it? What is the name of the bank? Do you hear if it is easier or harder these days? Let us all work together to make this headache of banking globally easier! The team at GFA made a full detailed infographic – free – to help you on your bank account application journey – view and download the high resolution version here. We hope that can be a map or guide for you along this complex journey of opening a bank account in America. Connect with a US Bank Specialist! At Global From Asia, we truly wish you the best in your US banking endeavor – it has been a struggle for many and let’s all work together to achieve success. Through a large New York bank, our Management Company is offering USA bank accounts for foreign companies to settle their Amazon.com and other e-commerce payments. In sum our Management Company will be the signatory on the designated account but the foreign company will be the account-holder and will input all wiring information. Our Management Company will then authorize each transaction. hi Drew! I may need this service myself – having issues verifying my Amazon FBA seller central account with a new delaware corp! I would like to know how could you help me to open a personal and Business account in a US bank? I am a non US citizen and my business is doing work for US clients. What are the requirements and the associated fees? Am Kelly from Ghana and I would be very glad to open a bank account in US and also have credit card from the same bank. My can write back to me with the procedure involved. Does a registered agent’s address work? If I want to setup a business account – and not having to travel to the US, don’t have a physical address – only have registered agent’s address and a EIN number and US LLC entity, could I use your service to open up a bank account for my business? What is your management company called? but the bank of america and other banks still insist for me to go one of their branches and open an account by physically. Actually is not possible for me to go there and do it. please help me to solve this issue. Did you find any resolution for your banking account requirement? hi as per 22 november 2017 bank of america, chase and suntrust etc are no longer able to open a business account UNLESS one of the registered shareholders are an american citizen. we have spent a week getting hit by wall after wall. Unless we sign over the registration possibility to our lawyer or accountant- and that means they will also be able to sign for the business with everything- we are close to giving up- any ideas? Have you tried Silicon Valley Bank SVB? I can get you a company and bank account in usa. You just need to submit your documents and we will do all the processing for you. I had helped many businesses to get company and bank account in USA. we get it along with online access and debit card. I charge a small consultation fee for this. The process will generally take 3-4 weeks in total. where in first week we send you state incorporation certificate. after that 5-10 business days you get your EIN and in another week you get your bank account. The best is to use the “get intro to banker” button in the blog post – this is a system to keep things smooth and matched based on your specific situation – worked hard on doing it to help as many people as psosible. Has anyone here had success opening a Bank account in the US which could be linked to Paypal & other payment gatways. as a non resident ?? I’m planning a trip to Los Angeles on October, if I want to open a bank account in USA, can I open it while I’m there with my ESTA or I need a visa B? Can you give me a link to contact representatives and remotely Open A Business Account with Bank of America? We have the form for you to connect with a bank solution did you fill that out? I’m planning to visit us to open business bank account, I’m having llc over there which is earlier manage by the managing manager who stays in US ,but now I want to open new account with my name only ? For me its individual acc. I want to open is it possible? I have a ssn but live in the Netherlands. So I need to transfer the account to a NYC bank which does and receive a debit card as well. I am an overseas investor with an LLC & EIN in the US & need to open a bank account to receive payments. Is it possible to open an account remotely? I’m an American living overseas and can not find a bank to open a business bank account for me remotely. Hi Bob! Kindly fill out our form: https://www.globalfromasia.com/form-us-bank-intro-help/ and you will be connected with our bank rep.
we would be needed open a BOA account for our e-commerce site shopify receive money. Can you help us out ? thanks. This article is misinformed, I called Wells Fargo and BofA and neither allow foreigners to open an account remotely. Yes we have since updated it – but will make it more clear as well in the article. Question, does the IRS or US Bank report your bank account to Canadian CRA? Anyone know? I’m in the UK and my bank is in the USA . I need too sign papers at my USA bank . hi, what if my primary reason to open an US-based bank account is to apply other account that requires an US-based bank account. For example, for open a stocks trading account requires a bank account in US. is it possible that the bank to approve this? gimme you hangout let chat?? Anyone please how much is the fee for the activation of the online bank account in usa? thanks in advanced!